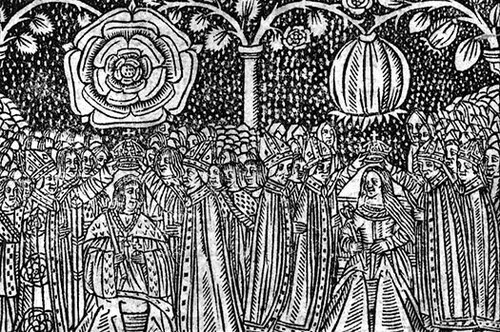 "It was a grand affair: the king's passage was lined with tapestries and laid with fine cloth.Following the ceremony, there was a grand banquet in Westminster Hall. As Catherine wrote to her father, "our time is spent in continuous festival"
The following day being a Sunday, and also Midsummer's Day, the noble prince with his queen left the palace for Westminster Abbey at the appointed hour. The barons of the Cinq Ports held canopies over the royal couple who trod on striped cloth of ray, which was immediately cut up by the crowd when they had entered the abbey. Inside, according to sacred tradition and ancient custom, his grace and the queen were anointed and crowned by the archbishop of Canterbury in the presence of other prelates of the realm and the nobility and a large number of civic dignitaries. The people were asked if they would take this most noble prince as their king and obey him. With great reverence, love and willingness they responded with the cry 'Yea, Yea'. When the ceremony was finished, the lords spiritual and temporal paid homage to the king and, with the queen's permission, returned to Westminster Hall - each one beneath his canopy - where the lord marshal bearing his staff of office ushered all to their seats. Each noble and lord proceeded to his allotted place arranged earlier according to seniority. The nine-piece table being set with the king's estate seated on the right and the queen's estate on the left, the first course of the banquet was announced with a fanfare. 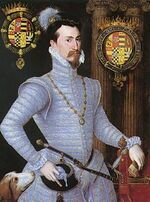 At the sound the duke of Buckingham entered riding a huge charger covered with richly embroidered trappings, together with the lord steward mounted on a horse decked with cloth of gold. The two of them led in the banquet which was truly sumptuous, and as well as a great number of delicacies also included unusual heraldic devices and mottoes. The following day the aforementioned defending team, lady Pallas's scholars, presented themselves before the king ready for the tourney. All on horseback and armed from head to foot they each had one side of their armor-skirts and horse-trappings made of white velvet embroidered with gold roses and other devices, and the other made of green velvet embroidered with gold pomegranates. On their headpieces each wore a plume of gold damask. Crocheman, who had brought in the golden lance the previous day, then declared that his knights were the servants of the goddess Diana and whilst they had been indulging in their pastime of hunting had received news that lady Pallas's knights had come into these parts to perform feats of arms. Thereupon they had left off the chase and come hither to encounter these nights and to fight with them for the love of the ladies. He added that if lady Pallas's knights vanquished them or forced them to leave the field of battle then they would receive the deer that had been killed and the greyhounds that slew them. But if Diana's knights overpowers their opponents they were to be given the swords of those knights and nothing more. contain warrants for stuff for gowns, coats, &c., for particular persons, viz. :—Lady Elizabeth Stafforde, Lady Anne Piercey, Lady Lysle, Dame Elizabeth Bolen, the Earl of Shrewsbury's daughter, "Lady Dona Agnes," Lady Scrope, Mistress Maubell Clyfforde, Lady Savayll, Lady Mary de Grauara, Lady Bryan, Lady Darell, Lady Peche, Kateryn Fortes, Mrs. Denys, Mrs. Botyller, Mrs. Weston, Mrs. Jirnyngham, Mrs. Brevs, Mrs. Stanap, Mrs. Odall; Mary de Salyns; two of the Queen's footmen; three of her chamberers; Dame Margaret Pole; Mrs. Redynge; Anne Luke, the King's nurse; my lord of Ormond and Sir Robert Poyntz; William Bulstrode and Roger Radclyffe; Alonso Desquirvell, and John de Quero; Robt. Hasilrig and Oliver Holand, yeoman ushers with the Queen; Giles Duwes and three of his fellows; Richard Big; Sir Robert Dymmok, champion; Ralph Jenet and four of his fellows of the Wardrobe; James Worsley and John Copynger of the Wardrobe of Robes; John Crochet, the King's armourer; Henry Pole; John Chaunte (or Chauntey) "le sage doctour"; Lady Eliz. Stafford, and seven other ladies and gentlewomen; Mrs. Mary Jernyngham; the Queen's stable; Sir Davy Owen, carver, and Ric. Hastynges, cup-bearer for the King; Alexander Thrognall, chief carver, Edward Jernyngham, chief cup-bearer, and John Varney, chief sewer for the Queen; Sir Thomas Lovell, Treasurer of Household, Sir Andrew Wyndesore, Keeper of the Great Wardrobe, my lord of Oxford, Great Chamberlain of England, the abbot of Westminster, and the Queen's Chancellor and Confessor. [The King's Chamber? :—] Sewers: Henry Pennago and Hen. Guylford. Gentlemen ushers daily waiters: Robert Knolles, John Whytyng, Ralph Egerton, Chr. Garnysshe. Gentlemen ushers quarter waiters: Henry Uvedall, Thomas Carmynowe, John Gifford, George Kene, Francis Barnard, Hen. Wentworthe, Thomas Ryder. Sewers of the Chamber: Francis Budd, Nic. Hyde, Thomas ap Rice, Walron Coghan. Yeomen ushers daily waiters and yeomen of the wardrobes: Ralph Jenett, Robert Russheton, John Grey, Richard Smythe, Wm. Cheyny. Messengers of the Chamber: John Gysell, Wm. Gentilman, Thos. Halley, Leonard Warcopp. Grooms of the Chamber: Wm. Compton, Wm. Thomas, John Sherp, Wm. Tyler, John Bigge, Walter Badham, Peter Malvesey, Wm. Dawborne, Robert Hert, John Pultney, John Lloid, Nic. Baker, Jenkin Vaghan, Chr. Rochester, Wm. Gower, Robert Litle, John Pate, James Worseley, Wm. Croughton, the King's hosier. Pages of the Chamber: Henry Kemyas, Massy Velyard, Peter Champyon, John Copenger, the Clerk of the Closet, Thomas Wobaston, Thomas Carvannell. Serjeants of arms: Robert Wesshyngton, Edw. Griffithe, Wm. Butler, Lyonel Crowford, Hugh Sterkey, John Roydon, Gilbert Mawdesley, James Conyers, John Hamerton, Maurice Butler, Hugh Chomley, Thomas Russhe, Thomas Twysaday, Robert Marleton, John Herper, Nic. Downes. Squires for the Body: Matthew Baker, Ant. Fetypace, Thomas Apar, Sir John Carewe. Sewers of the Chamber: Ant. Cotton, Master Mewtas, the French secretary, Alex. Staveley, as groomporter. Squires for the Body: Hugh Denys, Ric Weston, John Porth, keeper of books, Joscelyn Percy, Henry Reynold George Assheby, Wm. Salfford, Brian Tuke, John Millet. John Tryes, Ric. Alee. Dr. Chamber and Dr. Lacy, physicians, Henry Frowyk, Henry Cleyton. The Styll Shalmes: John Chamber, marshal, John Furneys, Thomas Spence, Thomas Grenyng, Thomas Mayow, John à Bys, Ric. Waren, Thomas Pegion, Bartram Brewer, minstrel; Wm. Altoftes, the King's surgeon. Officers of arms; Garter, Richmond and Norrey, kings, Somerset, herald. Pursuivants: Rougecrosse, Blewmantell, Caleys, Guynes, Hammes, Risebank, Berwyke, Mounteorgell, Kyldare. Wm. Norres, master of the King's hawks. "Sakbuddes and shalmes of the Prive Chamber": Johannes, William, Alexander, Edward; Georgius Bryghouse; Piers Crosbowmaker. Squyllary: John Baronby, groom, Wm. Rice and Lewes John, pages; John de Napulles, Thomas Whetley, Thomas de Sawsse, Wm. Jones; Piers Barbour; John Veyrye, the King's surgeon. John Smythe, groom of the Wardrobe, John Colynson, groom of the Leash. The King's trumpets: Mr. Peter, marshal of the Trumpets, Jaket, Franke, John de Cecill, Domynyk, Audryan, Christopher, John Broun, John Banke, John Hert, Thomas Wrethe, John Frere, John Scarlett, John Strett, Robert Wrethe. Bountaunce. Mr. Richard Rawson, clerk, Mr. James Denton, clerk. Henry Clyfford, esquire. Thomas Mynowrs, page of the Chamber. Sumptermen: Wm. Kevet, Ph. Franke, Thomas Elsey, Wm. Wilson, John Felton, John Halyday, Thomas Towres, Thomas Turnor, and John Wedir, grooms, Thomas Pygrym and Wm. Sawell, grooms of the chariot, Wm. Magotson and Ric. Kyme, pages, Wm. Rudhale, general attorney to the Queen, Mr. John Oxenbryge and Mr. Robert Fyssher, chaplains, Thomas Lucy, sewer, John Smythe, almoner, Francis Letyre, Peter Falconer, Patrick Falconer, Pety John Falconer, Hugh Falconer, Matthew Falconer. Stephen Jasper. Sir Robert Suthwell, knight, Sir John Cutte, knight, Mr. John Porthe, the King's solicitor, — Bellowse, clerk of the Council, Henry Smythe, controller of the Works, Phyppe, keeper of Merten the King's fool. Servants belonging to the Wardrobe: Laurence Gower, Ric. Ratclyff, Ric. Newton, Wm. Gisnam, Wm. Duffeld, Chr. Wentworth, John Pastrell, Robert Thomson, John Rynge. 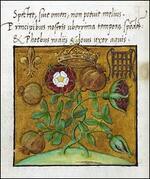 "The abridgment of the precedent of the coronation" of, Henry VIII.and of Queen Catherine his wife." 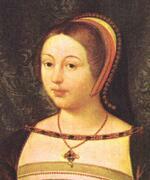 1519 - Death of Lucrezia Borgia,daughter of Pope Alexander VI and Vannozza dei Cattanei. 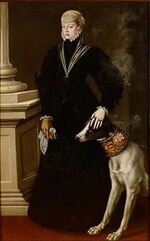 Sister of Cesare Borgia, Juan Borgia, and Gioffre Borgia. Is much grieved at this mortal war between him and her son's realm. Without God's help and his, sees no remedy, for the noblemen are so abused by the lord Governor that they dare not undertake anything for the King's welfare or their own. If she might mediate with him, would take any pains. 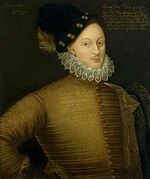 Hears from Surrey and Dacre that all Henry does is for the safety of his nephew, not from malice to the realm, and therefore beseeches him to do something for her sake, that it may be seen and known here that he will do something for her. As her son is under age, wishes he would consent to an abstinence of war till Michaelmas, that the councils of the two realms may meet for the purpose of peace, with a condition that if Albany come into the realm, and be not content therewith, it shall expire in twenty days; for none in this realm dare consent to any abstinence, unless he may break it when he chooses. If Henry grants this, and Albany breaks it, the breach will be seen not to be Henry's fault. It would be the greatest comfort to her if by her labor this business could be stopped. On the evening of the 22nd, Dr. Stephen [Gardiner] and [Sir Francis] Brian arrived. Owing to this the courier has tarried till now. The cardinal of York has showed me a letter in the Pope's own hand to himself and the King, containing credentials for me "respecting the premises and other public business." As I have received no letters from you, either by Dr. Stephen or by Thaddeus, who arrived with them, I have not known what answer to make up to the present time, except that I have no letters, though probably they are on the way, under direction to the legate Salviati; and that as to "the premises," which referred, as it seemed to me, only to these affairs of the King, I had nothing further to say to them than to confirm what I had so frequently told them, namely, that if the Pope had not done what they could have wished in reference to the brief and their other demands, this would not have occurred had the Pope been able to act with justice and honor. With regard to public affairs, I reminded them that they should continue their protection and defence of the Holy See, as they had done in the past, according to the hope and faith which the Pope reposed in his Majesty, especially in respect to this treaty of peace. I understand that the French king desires the presence of the cardinal of York at this negotiation at Cambray, as also does this King, but not before the termination of this cause, for which they importune beyond measure. London, 24 June 1529. "Has been very sick "and ele ates" (ill at ease). Has been fain to send for Master Peter the physician, but is rather worse than better. Trusts shortly to come to London with her husband. Is sure, if she tarries here, that she will never "asperre the sekenys." 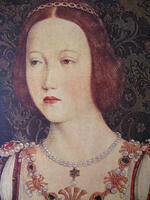 Will be glad to see the King, as she has been a great while out of his sight, and hopes not to be so long again." 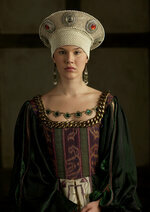 1540 - Henry VIII commands Anne of Cleves, to leave the court.